When only the best will do!! This popular Bayview floorplan is model perfect all the way around. Featuring 2 large bedrooms with ensuite baths and an office in the 55 and better community of Southshore Falls with resort style amenities and a maintenance free lifestyle. The home sits on a private wooded lot and is outfitted with wood flooring in the living, dining and office areas, large neutral tile in kitchen and nook, baths and laundry room, stainless appliances, wood cabinets with crown molding and granite counter tops, crown molding in main living areas, wide baseboards, custom window coverings and an oversized screened lanai with stamped concrete flooring and wooded view as a backdrop. All furnishings are available for sale making it a Turn-Key experience. Stay as busy as you want to with all the available social functions, classes and planned activities. Southshore Falls is a gated, guarded community, with two lagoon style pools, jacuzzi, resistance pool, tennis and bocce ball courts, fitness center, billard room, library/card room, ballroom, art center, internet cafe and full time activity director. Close to beaches, shopping, restaurants and the brand new St. Joseph South Hospital. 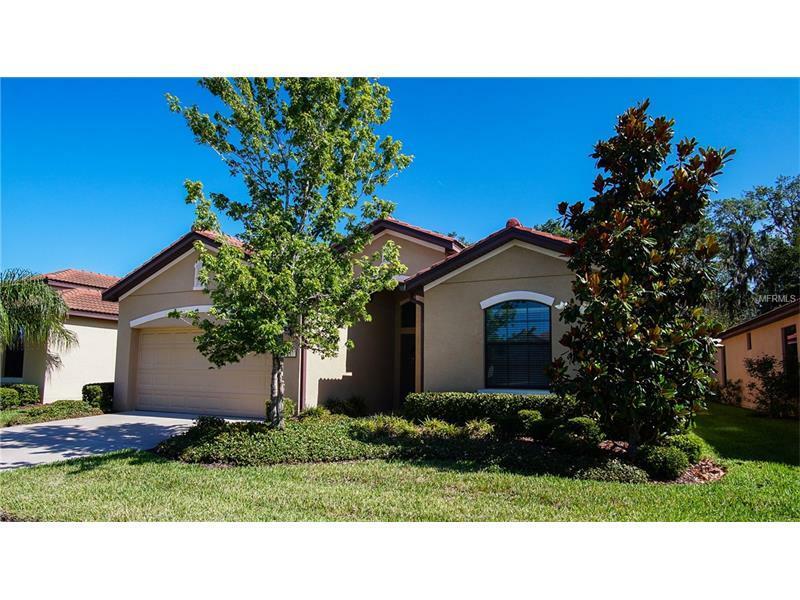 Make this your new Florida home today!! Copyright © 2019 Mid Florida MLS. All rights reserved. The data relating to real estate for sale on this web site comes in part from the Internet Data Exchange Program of Mid Florida MLS. Information provided is for consumer's personal, non-commercial use and may not be used for any purpose other than to identify prospective properties consumers may be interested in purchasing. Coldwell Banker Residential Real Estate participates in the MFRMLS Internet Data Exchange (IDX) program, allowing display of other MFRMLS broker's listings on this site. However may not include all listings currently available. Information is deemed reliable but not guaranteed. Information last updated at 2019-04-23 19:53:19.